The ground breaking conference in Anaheim last November followed by the internationally televised Route 66 Crossroads of the Past and Future Conference at the 2014 Route 66 International Festival were initial steps with far reaching implications. Now we have another opportunity to foster development of a sense of community and community purpose along the Route 66 corridor by promoting events internationally. Rich Dinkela has invested in the development of a well designed website (Events on Route 66) that will provide communities and event developers with an unprecedented promotional opportunity. In addition, it will enable travelers to better plan their adventures, and provide communities with tools to develop coordinated events. Please note, the above link is functional. The website, however, is only showing samples and examples at this time. The official debut will most likely be made within the coming weeks. I have offered to assist Rich in the sites development by creating an initial list of events on Route 66 occurring in the next eighteen months. The listing of events is free. However, if you have need of artwork to accompany the site, there will be costs incurred. That aspect is currently under development. So, please send me information about any event in communities along Route 66, and accompanying art work. It can be a car show or rodeo, air show or art walk, or even a Route 66 celebration or Route 66 related meeting or conference. 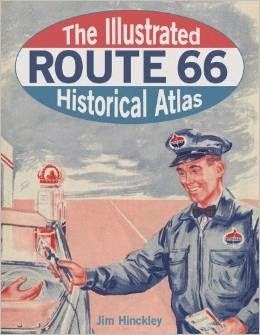 The idea is to create a centralized clearing house for information about all events taking place along Route 66. I will also post links as well as basic information on this blog on the page under the “What’s Happening on Route 66” tab at the top of this post. Next, Open Road Productions is now offering customized Route 66 tours with an emphasis on the American southwest. Professor Nick Gerlich and I are committed to assisting the company in the development of these tours to ensure that they provide clients with the best possible Route 66 experience. For more information contact Rick Thomas at (248)561-5506. In addition to the debut of my new book at Cuba Fest in Cuba, Missouri on October 18, I will be kicking off my fall speaking tour entitled Route 66 Crossroads of the Past and Future. The first presentation takes place at Route 66 State Park open house at noon on Sunday, October 19. The schedule is still under development. These presentations are free for museums or non profit organizations. To schedule an appearance, or discuss financial compensation for an appearance at a corporate function, please drop me a note or contact publicist Steve Roth at (612)344-8156. To close out this mornings report, I have a request. Sam Murray of Gilligan’s Wild West Tours will be kicking off his fall Route 66 tour this week. This is a fledgling opportunity but Sam Murray has a passion for Route 66, and to share its wonders with clients from New Zealand. Lets help him make the tour a success, and lets roll out the red carpet for his clients. If you wonder just how passionate Sam is about Route 66, he recently purchased the Frontier Motel and Restaurant in Truxton. Now, Stacy and Allen Greer are passionately giving it a new lease on life.